Our latest and greatest luxurious wood furniture projects & company events in the spotlight; including new installations, public releases and architecture & design project profiles. We created a three piece bar cart from our Big Leaf Maple stock and a Walnut Nara table console for the newly renovated loews hotel 1000 in downtown Seattle. Read more about this project and watch the video below to see our work with Loews Hotels. Enjoy this video of our behind the scene process working with loews hotel 1000. Learn more about our process. Vote today for our Willow Table! The 2017 Interior Design Magazine Best of Year Awards are open and our Willow is one of the entrants. Voting is open until October 16, 2017. Learn more about Willow and cast your vote today! Congratulations to Mithun for their INmass Macro win for their work on the Weyerhauser Seattle Headquarters at the 2017 INawards. Designing furniture for the workspace is an ever-evolving challenge. Today people strive to find pieces that fit an endless string of requirements. With products having such a high bar to reach it’s crucial for designers to recognize when to push the boundaries of a design’s function and when it’s time to stop adding. Click to read more. 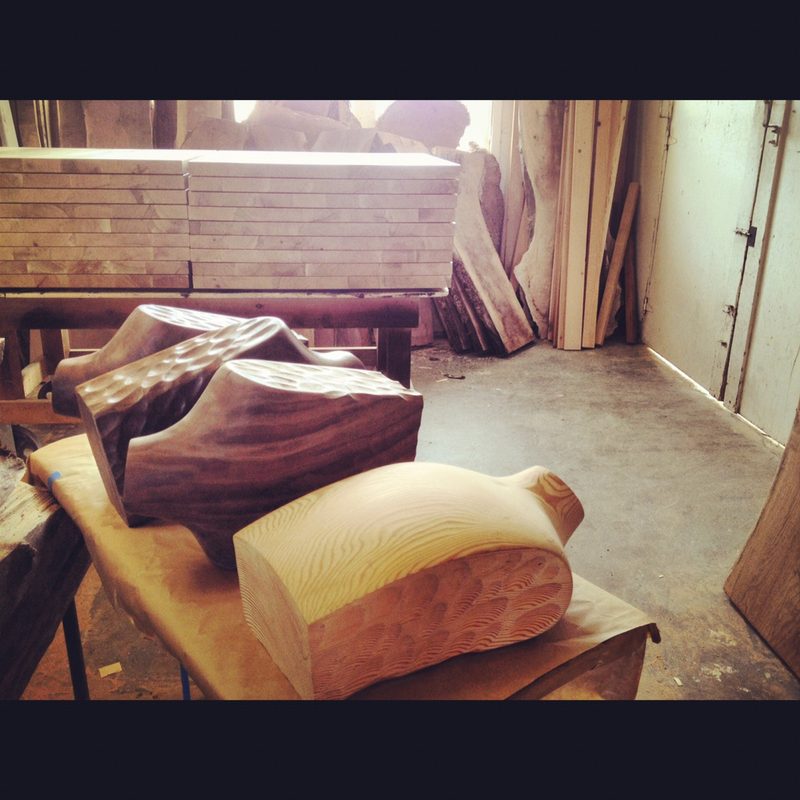 We're excited to bring you a new way to shop our inventory of beautiful wood slab tops. 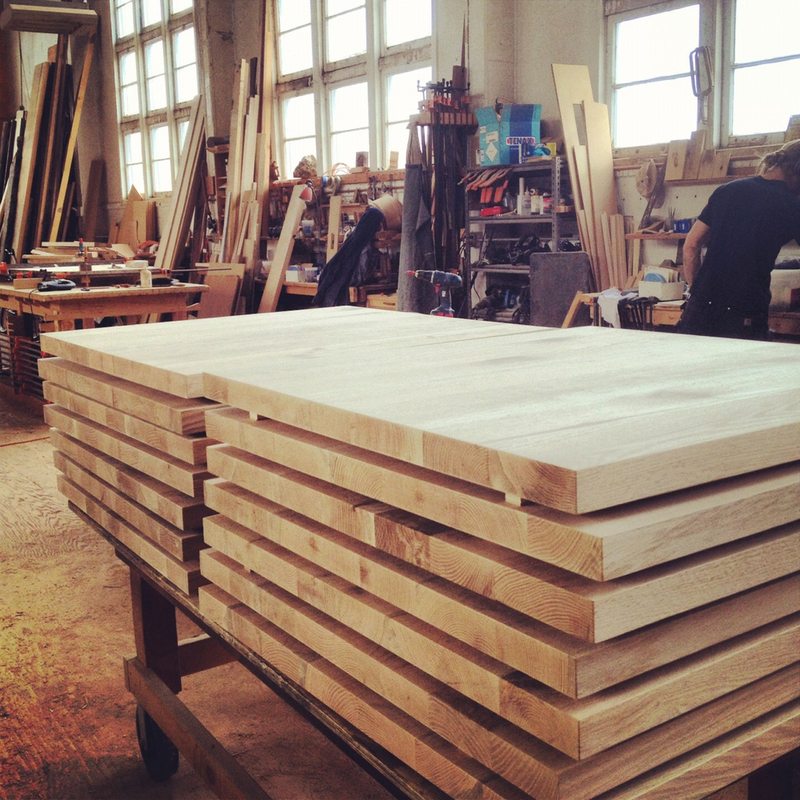 Visit our new slab shop site today to create your own custom table from our available slabs. Join us Thursday, February 23rd at the Hotel Lucia in Portland, OR for an evening of local music, wine, food and new designs. Due to popular demand, we're hosting another slab sale at the end of this month. There will be several pallets of maple, oak, ash, black locust & more all available. We have a large amount of stock to sell so we hope to see you there. Below are just a few examples of the inventory we are offering at huge discounts. For more information, visit our Facebook Page. We're moving to our new Seattle office location in lower Queen Anne April 15th! Please update your records to reflect this exciting change. Our phone and fax numbers will remain the same as well as our Sumner and Graham addresses for deliveries. on 3rd Ave West. Our office is on the Left after W. Harrison. South on 3rd Ave West. Our office is on the Right after W.
This beautiful dining table was a collaborative effort between Meyer Wells and the client. 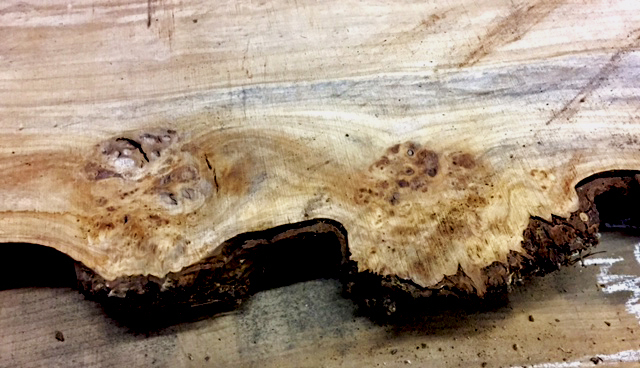 Working with a very rough slab of Spalted Maple chosen by the client, our team was able to preserve the sculptural quality of the wood in the finished piece. Interior Designer, Kathleen Glossa, chose to work with Meyer Wells because she loves our story and knew her client's would be able to find exactly what they were looking for with our inventory and quality craftsmanship. Product: live edge spalted maple dining table with clear low VOC waterborne topcoat, steel plate base with blackened finish. This raw slab from our shop becomes a work of art from wood once sculpted, sanded and finished by our hardworking production team. Our Clerestory coffee table was featured in Luxe Magazine. Meanwhile our Fuller Table also enjoyed a full page spread in this month's Home & Garden section of Seattle Magazine where it was deemed the "au naturel accent table your living room needs now." *First of all, we are not closing our doors. If anything, this move is allowing us to grow, to take on larger projects and larger production volumes. 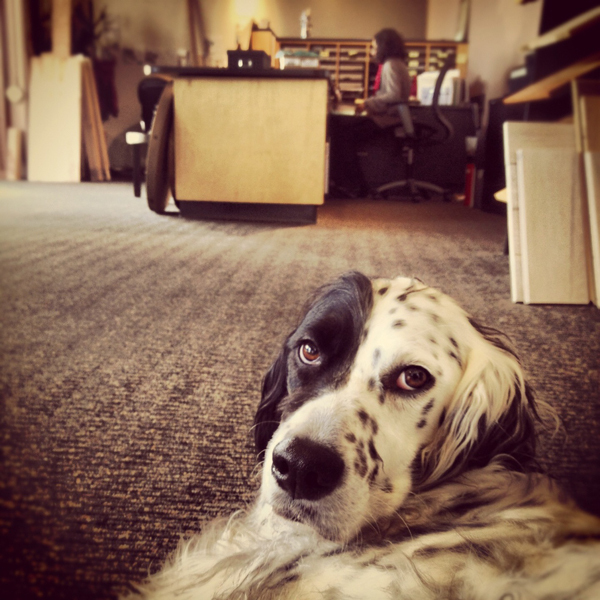 *Secondly, our office with sales, marketing and accounting will remain in Seattle. It's important for us to stay closely connected to our Seattle clients. *Finally, while our slabs will no longer be just a walk away, we promise to make every effort to keep you in the loop with the selection process. This includes occasional trips to Sumner, samples slabs in our Seattle office and an eventual online slab inventory.